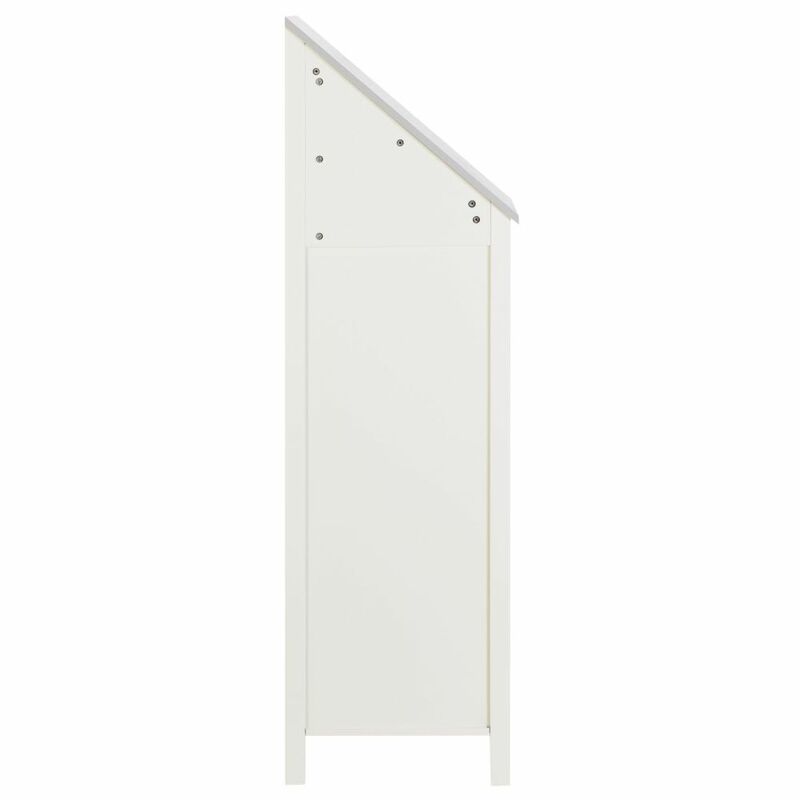 With its unusual slanted shape, this white child's wardrobe will hold all of baby's things. This small wooden wardrobehas 3 shelves: one removable and two fixed. 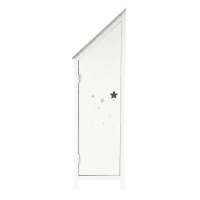 Design extra: its shape and star-shaped handle. Need more storage? 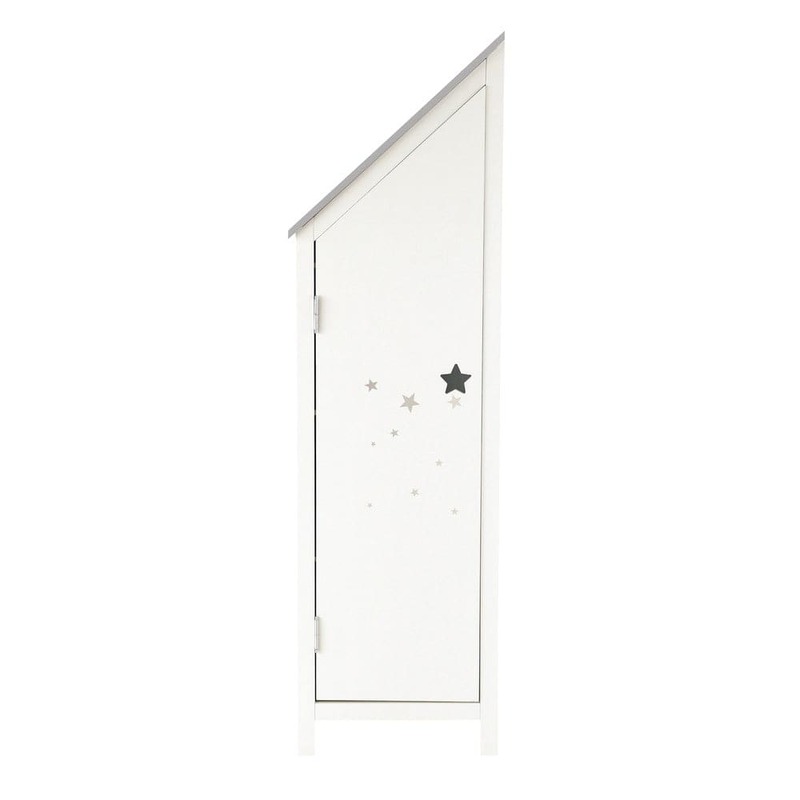 Pair it with the Dream closet and shelves to create a cute little house. 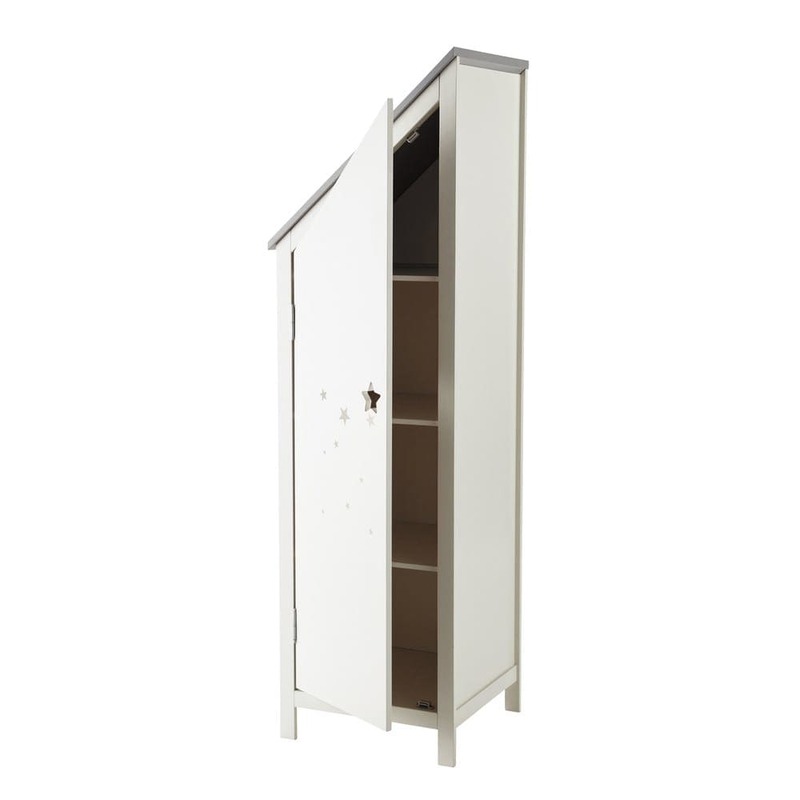 Can be combined with the SONGE cupboard and shelf.